Beyoncé Knowles has been on top of the music industry ever since R&B group, Destiny’s Child. Later, establishing a solo career, she’s been running the world ever since. Knowles is known for her incredibly hard work ethic and extraordinary vocal abilities. Starting with her debut album, Dangerously In Love, becoming music’s top-selling artists with sold-out tours and many winning awards. Beyoncé has since came a long way ever since she was a young girl. Last year, Beyoncé became the first black woman to headline annual music festival, Coachella. Many have said that this was an iconic moment in pop culture and will forever go down in history as a cultural movement. The Coachella performance paid tribute to the Black experience in America while honoring Black colleges and universities. Beyoncé was initially set to perform at Coachella in 2017, but soon cancelled because of her pregnancy. It was during her hiatus that she thought of the perfect ideas and creative concepts to come up with in the next year in her 2018 Coachella performance. This is Beyoncé’s first Netflix collaboration. 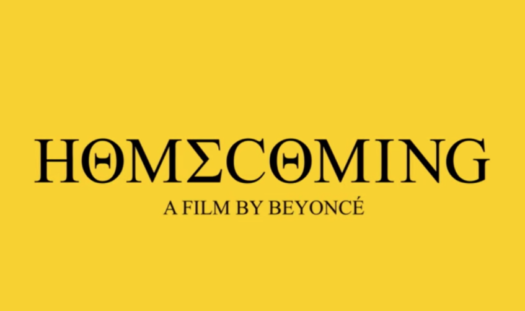 Homecoming: A Film By Beyoncé is set to air on April 17th, 2019.